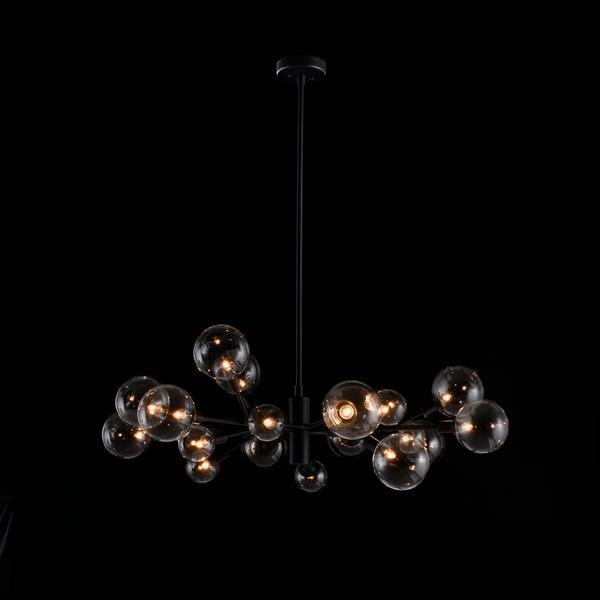 A ceiling light featuring a cluster of bulbs extended on matt black arms. 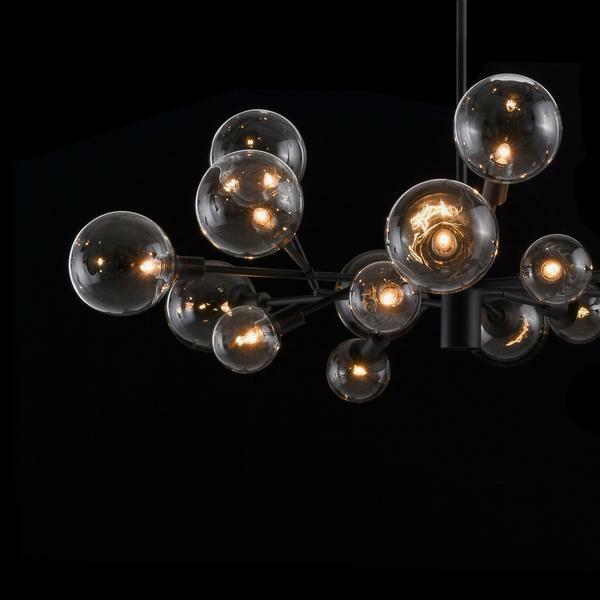 With galactic appeal, this is as much a modern sculpture as a lighting feature. 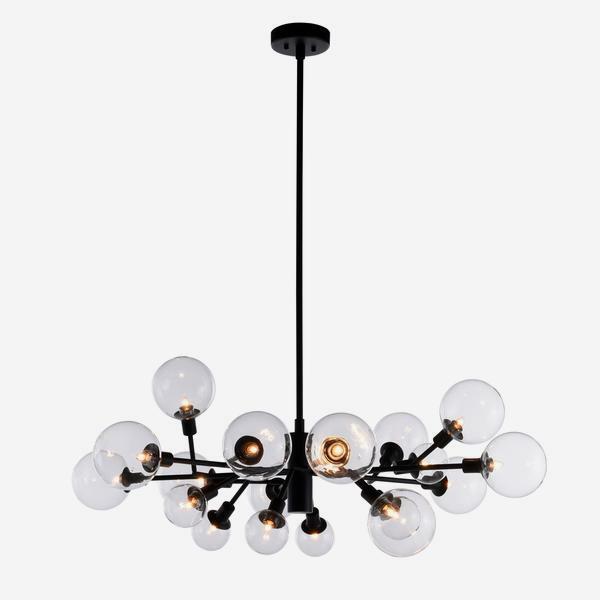 It's the conversation starter above a dinner table or the focal point of a high-ceilinged living room. 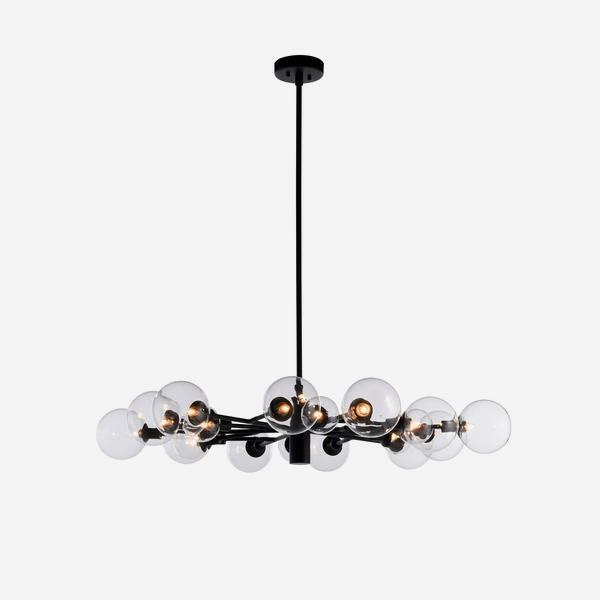 It adds both rounded shape and angular lines to a scheme and gives off a warm yellow light to soften its modernist edge. Brooklyn comes with 3 x 30cm rods so can be installed to 3 lengths (30cm, 60cm, 90cm) depending on your scheme.